Nothing screams London as much as a busy street and red two-story buses. As for busy streets, Oxford Street is probably one of the busiest in London. The wide sails, with a convenient pedestrian walkway, make it the perfect place to shoot without risking your life. You can either make an epic portrait, or arm yourself with a tripod and play with long expositions and moving red buses. 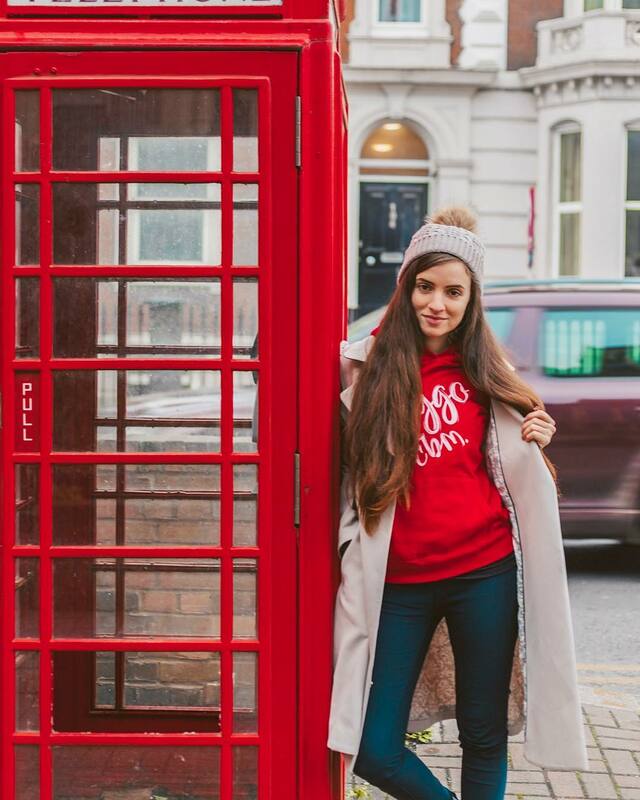 At the very corner of Oxford Street you will find Regent Street. 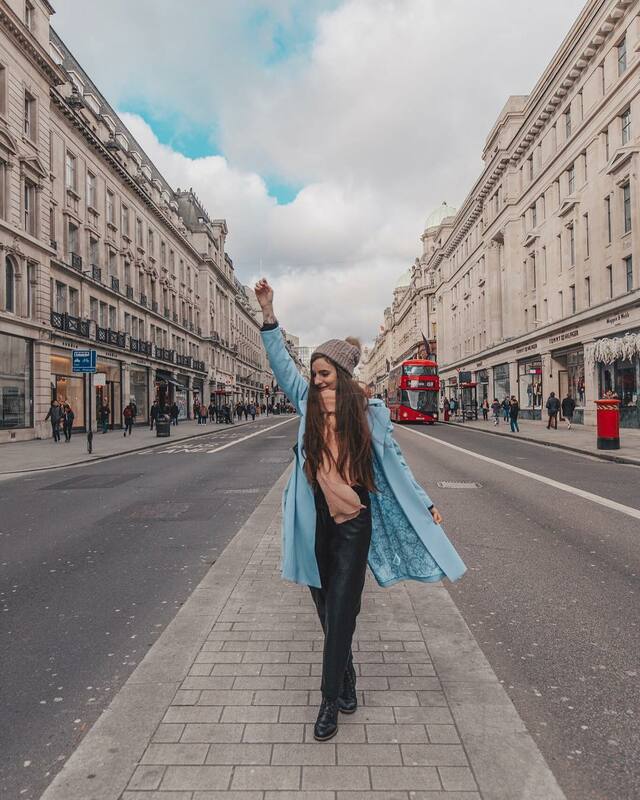 With very similar layout and architecture, Regent Street is also the perfect venue for photos of London’s street life. And it’s the perfect place to shop between the photos with the crazy, sleek shops you can find here. 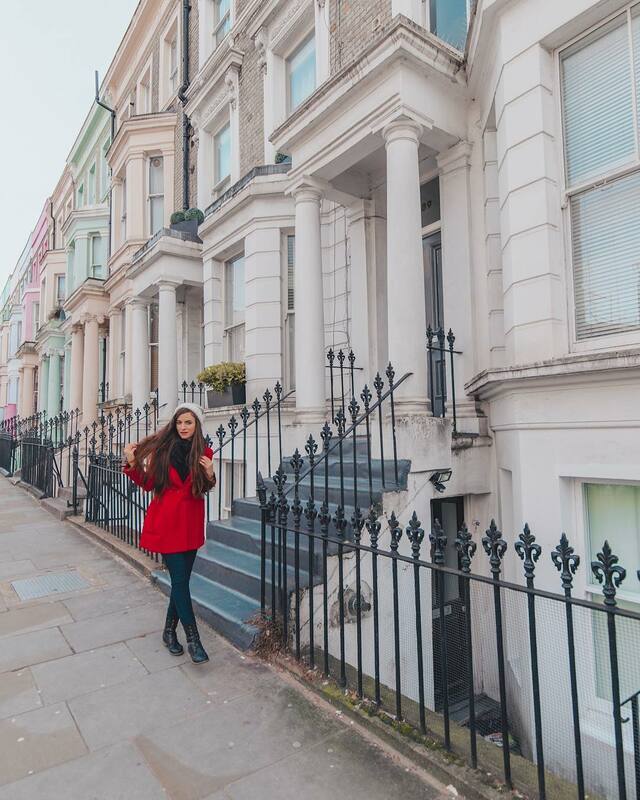 The entire Notting Hill neighborhood (as well as Portobello near road near it) just cries for Instagram photos. There is nothing as photogenic as white houses and beautiful architecture. 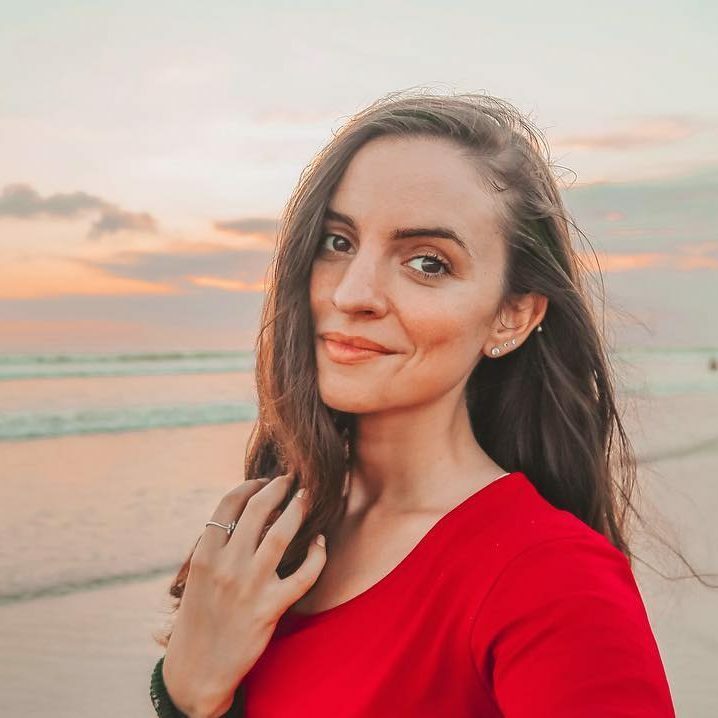 You can take pictures while climbing the stairs of a beautiful Victorian building while you sit on them while walking on the streets .. while pretending that you’re just living there and that’s your normal activity. 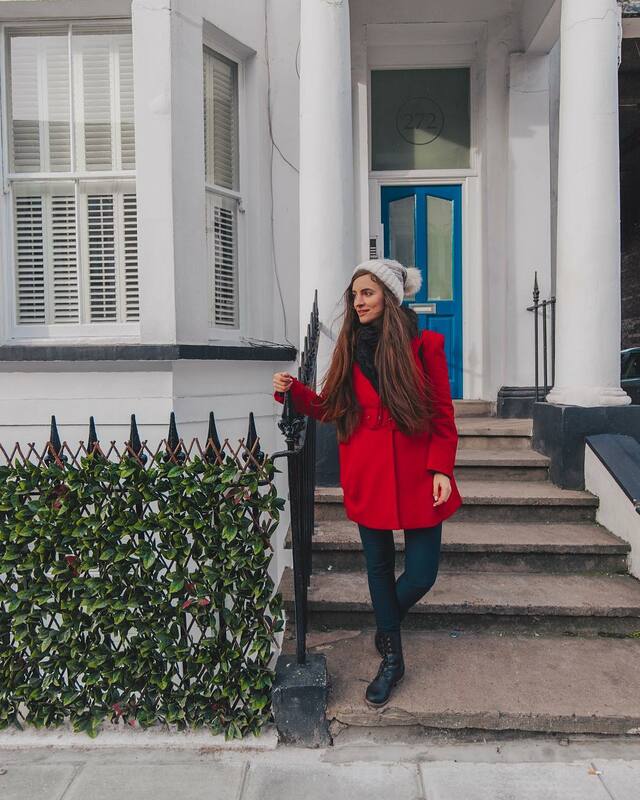 Extremely close to Notting Hill and Portobello Road is Ladbrook Square, where you will find a number of beautiful houses with white columns, bricks and balconies. 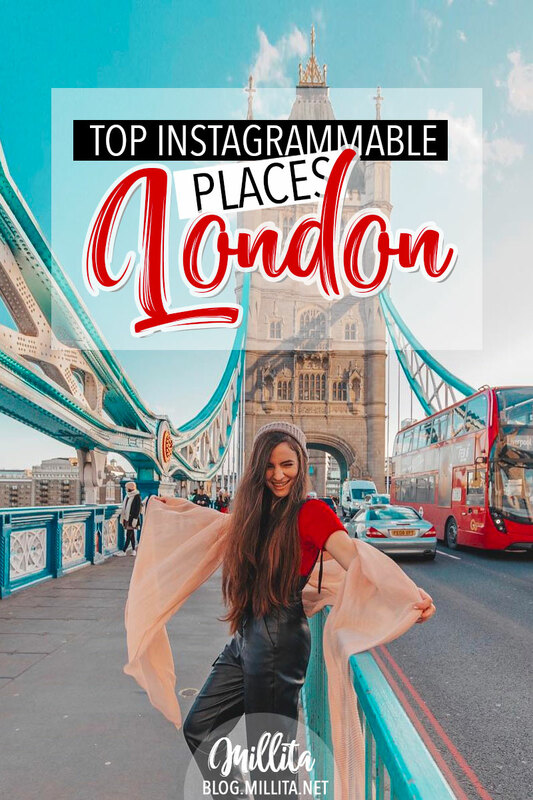 In fact, this whole part of London is characterized by Victorian architecture and splendid houses that create quite stunning pictures for Instagram. This stereotypical landmark in London is photogenic from any side you choose to shoot. While from the south of the Thames you can see the Tower Bridge, the Tower of London and all the city’s special buildings, on the north side you can take a picture of Tower Bridge with Shard just behind it. 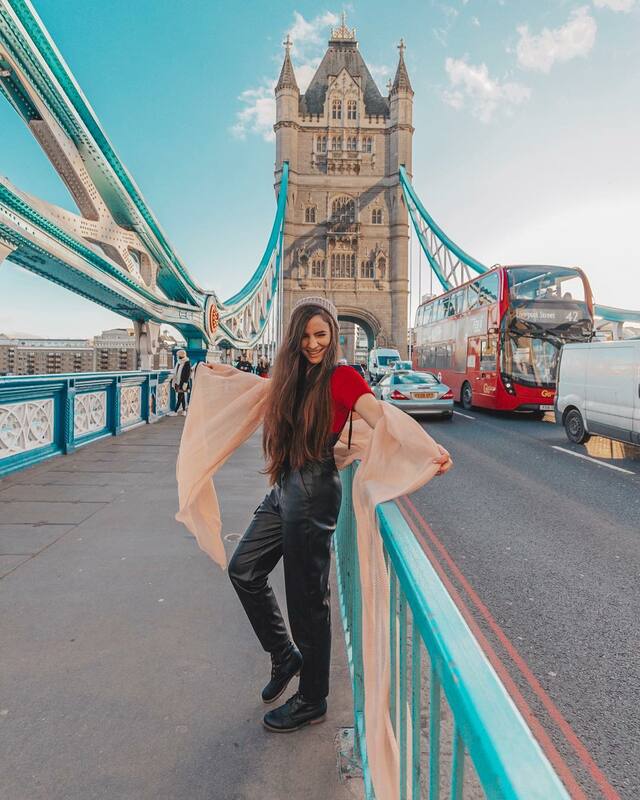 If that does not scream Instagram, I just do not know what does… Bonus points if you get a red bus on the bridge in your frame. In general, Tower Bridge is indeed one of the most photogenic places in London. Any angle from which you decide to shoot will look great. I personally liked the photos taken on the bridge, as this really gives you an idea of ​​the scale and size of this architectural beauty. If you want to take a photo without other people, you either have to visit very early in the morning, or be very patient and wait for this rare moment without the crowds. Book your visit to the Tower Bridge exhibition here. 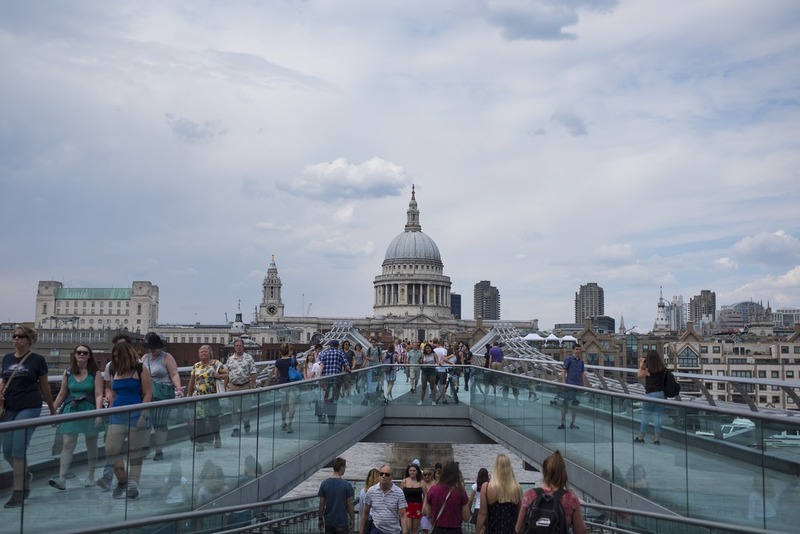 Harry Potter fans who read this will recognize the Millennium Bridge as the bridge that the deatheaters destroyed at the beginning of Harry Potter and the Half-Blood Prince movie. For everyone else, it’s just a cool metal structure that connects the northern and southern banks of the river. 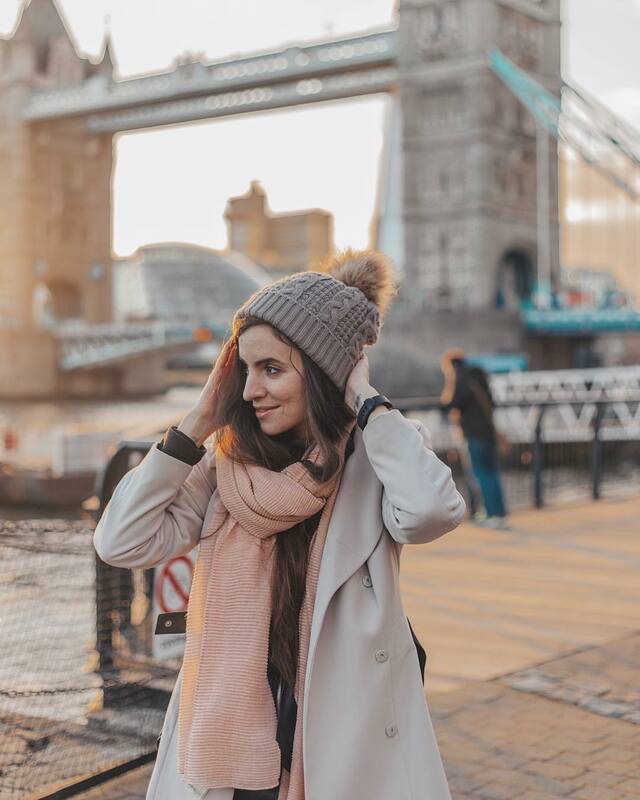 The view of the metallic architecture of the bridge, combined with the roofs of London and the dome of St. Paul’s Cathedral in the distance, create the ideal Instagram location. If you want to take a photo without the crowds, you will have to come here very early in the morning. This is the first place I left for the next visit, and I definitely can’t wait to make my masterpiece there. One of the most striking and screaming LONDON places with a full throat. 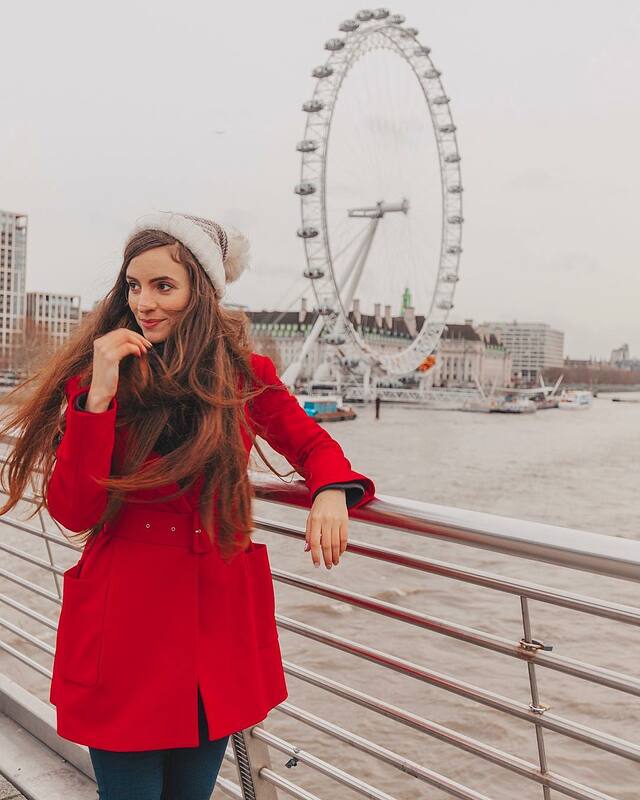 In this place you can make an epic shot not only from afar, but also on the magnificent Ferris Wheel. 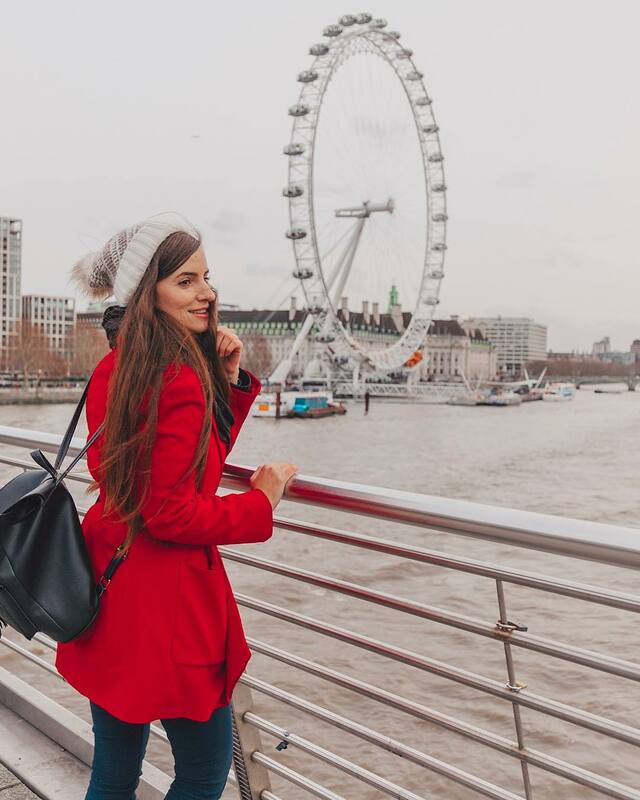 If you continue on the bridge and you are lucky, you can also capture Big Ben itself. 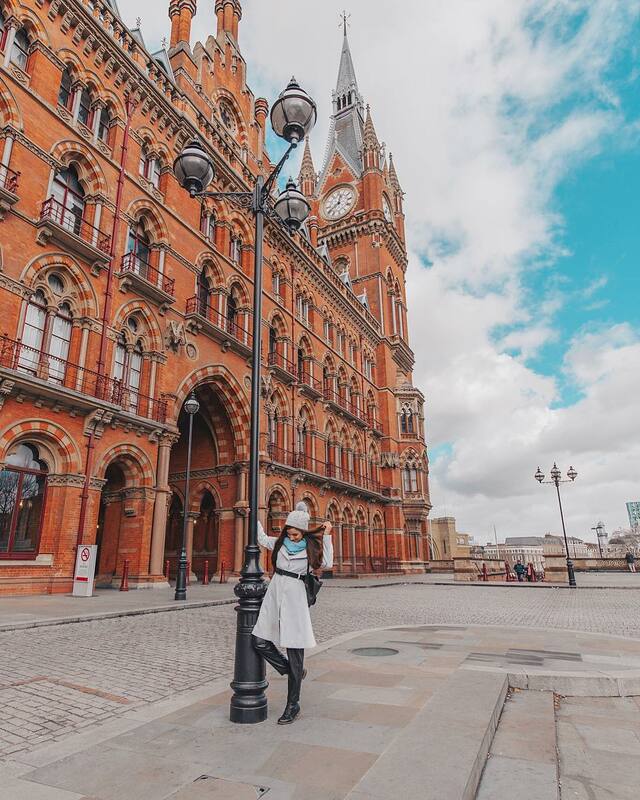 If you arrive in London by train to international station St. Pancras or Kings Cross, this is a super easy photo! Just in front of the train stations is the St Pancras Renaissance Hotel (Oh, yes it is a hotel indeed ..). 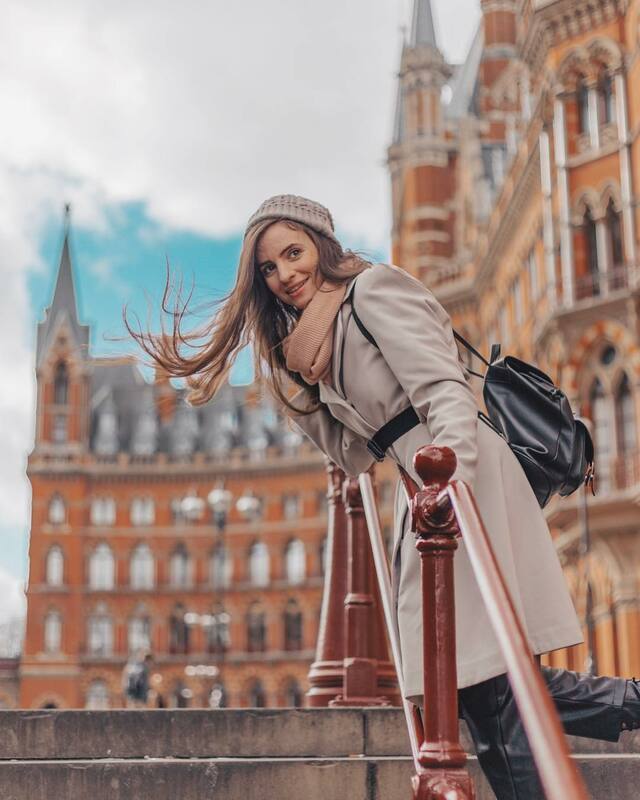 This is the perfect location for Instagram photos, with its red bricks and stunning architecture that creates the perfect contrast to the blue sky if you are lucky to be in London on a sunny day. 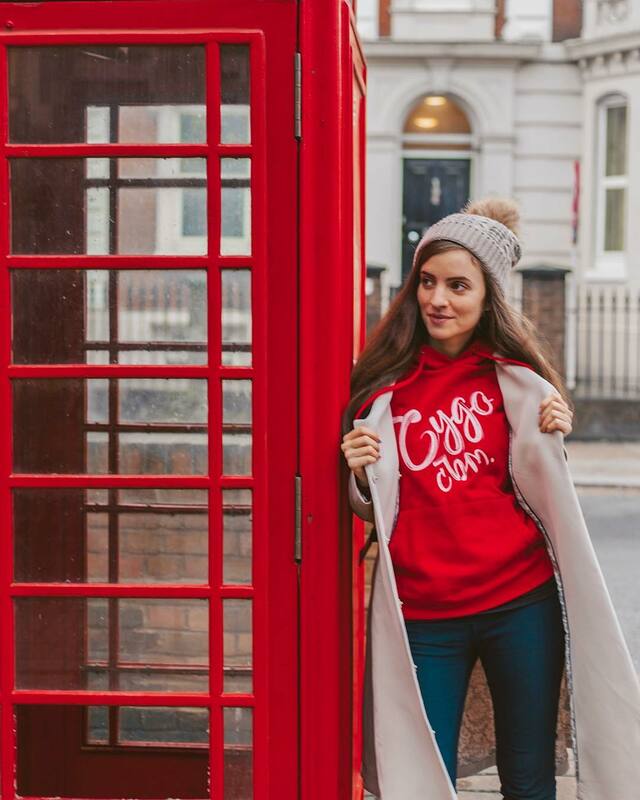 I don’t think I even need to mention how amazing the red telephone booths are in London. But it’s also lucky to find a clear one without any marks or stickers. Fortunately, the whole center is flooded with them, so you have a huge choice and a great chance to find your own. The first landmark that comes to my mind when I hear London is Big Ben. Unfortunately, it turns out you have to be very lucky to visit the city at a time when they don’t renovate / repair the big clock. I did not have it. But I’ll definitely watch my next visit when it’s ready for a photo shoot. Like Tower Bridge and Big Ben also is incredible from whatever angle you capture it. Peggy Porschen is the perfect example of how Instagram can make a place known. 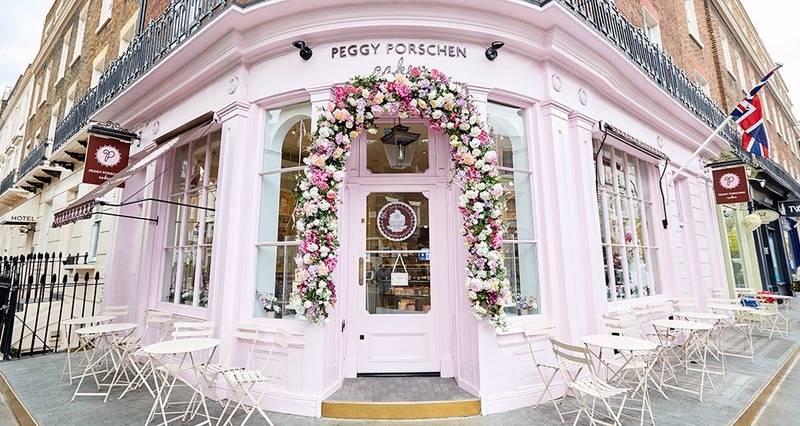 With pink exterior and colorful decorations, Peggy Porschen’s photos exploded in social websites. The café is specialized in cakes, and in most cases you will see photos with them. This is the next place on my list for future photos. For me personally there is nothing more important than decor / architecture / surroundings in one place to stand worthy of the label instgrammable. And Coppa Club with this criteria takes one of the top spots. 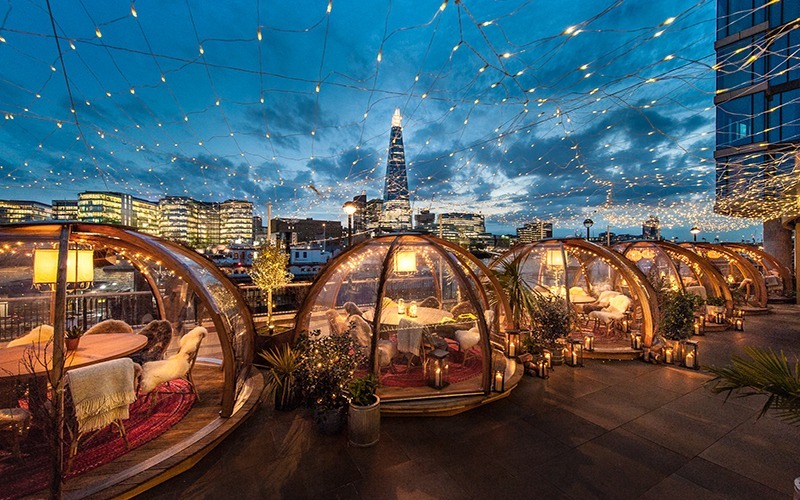 If you are not in love with the idea of eating in an glass igloo, the views of the Shard, the Thames, and Tower Bridge should easily convince you. There are several Coppa Clubs around London, but this one near Tower Bridge is the most photogenic. 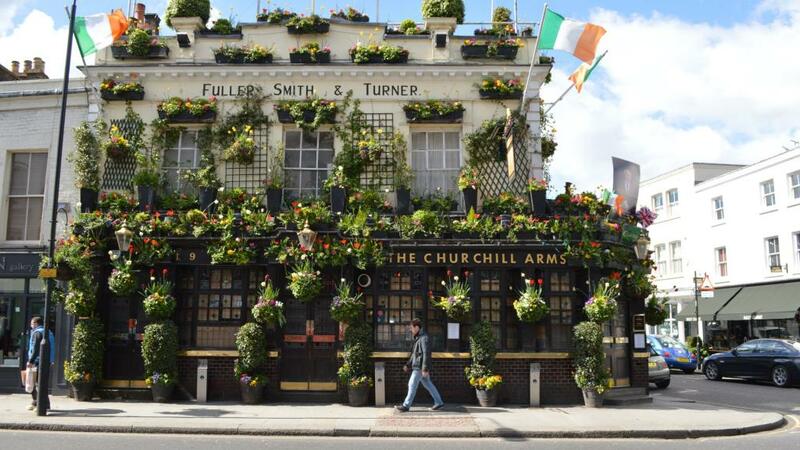 Churchill Arms is also known as the most photogenic pub in London. With a facade covered with plants and flags like this, how could it not be? Decorations are not restricted from the outside, the pub (according to Google’s data) is decorated inside as well, and the experts say that it is also worth a visit! Churchill Arms is an example of true British eccentricity and is in the heart of Kensington. To my regret, I couldn’t visit it this time, but next time it is a must. 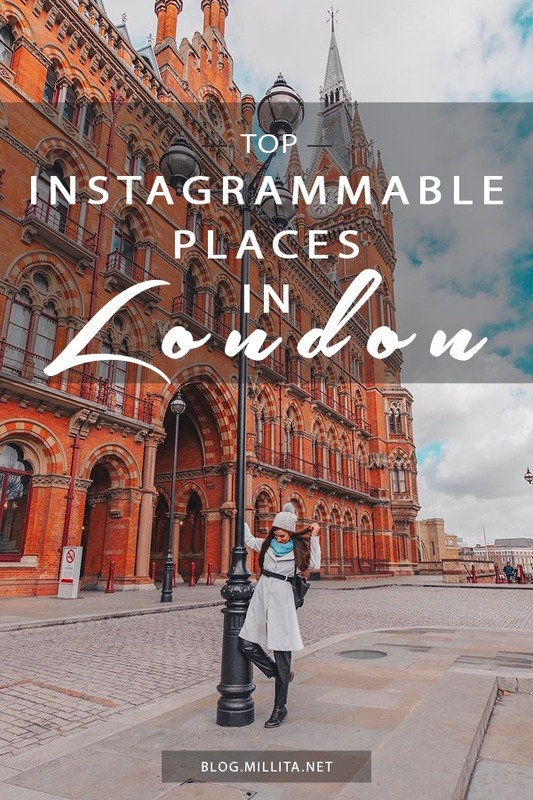 Do you have any favorite places in London perfect for Instagram pictures? Share them in the comments below. 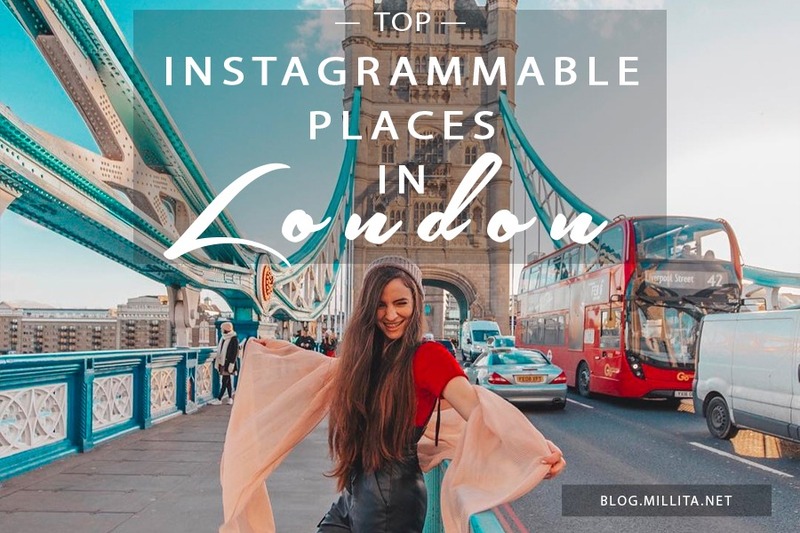 I hope that this article inspired you to visit the city and make your epic photos in these great places. If you have any questions about the destination or new information, please leave them in the comments below.